Tag Archives for " Thrive CBD "
Cannabidiol (CBD) is a compound found in hemp that more and more people are beginning to pay attention to. CBD and THC compounds have a major difference between them, CBD does not cause any psychoactive effects (no high effect). Displayed in the image below is the Vape Bright CBD oil vaporizer pen. In this article we'll touch on the ingredients of the CBD oil that Vape Bright uses as well as how to use their vaporizer and the pre filled CBD cartridges. Vape Bright is a CBD company that was created as a pure CBD vape alternative. CBD is something that many people have found makes them more happy, calm, and also regarded as something that delivers healing benefits for a wide range of illnesses and diseases. Vape Bright is in the business to create a convenient way to utilize the power of cannabis and aims to be one of the top sources and devices to help you easily be able to take CBD where ever you are. The CBD oil made by Vape Bright is made with no chemicals and is offered at a very reasonable price. Vape Bright aims to help people around the world live a healthier and happier life. The CBD hemp oil offered by Vape Bright is made with the finest organic hemp oil, pure and unadulterated. 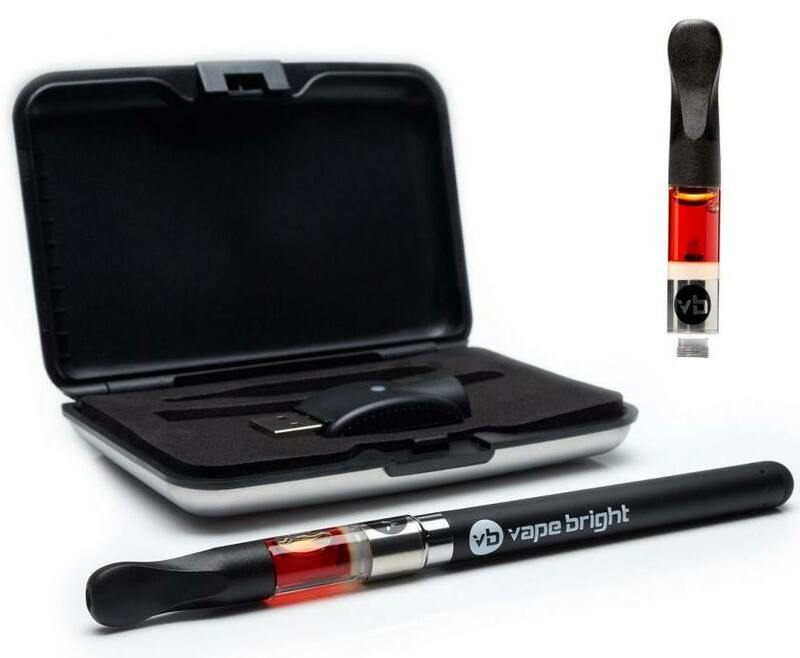 Vape Bright has created a very simple to use portable vaporizer that works with the organic CBD hemp oil. The hemp oil is already placed in the cartridge that comes with the starter kit. Using a vaporizer is one of the best ways for your body to quickly absorb CBD and begin to start experiencing the effects. The CBD oil by Vape Bright is extra strength cannabidiol oil (CBD) where each inhalation delivers approximately 1mg (usually more with each puff). The CBD oil that you get with Vape Bright is made with no extra additives, contains no propylene glycol (PG), is formulated to be therapeutic, release the full potential of non-psychoactive cannabinoids. Vape Bright maintains the natural flavor of cannabis, does not taste chemically and delivers a strong dose of CBD that is up to 10 times what other brands provide. There is no need to include non organic ingredients in your CBD oil, if you are looking at other products and notice that their ingredients contain extra additives than you should strongly reconsider purchasing from them. Vape Bright offers an easy to use vaping solution with 100% organic CBD oil. Lower on this page you will see the supplement fact sheet that outlines the included ingredients. If you are a first time purchaser of CBD oil, than Vape Bright is a great place to start. They are one of the only companies to offer a complete CBD solution that you can pick up and start using right away. 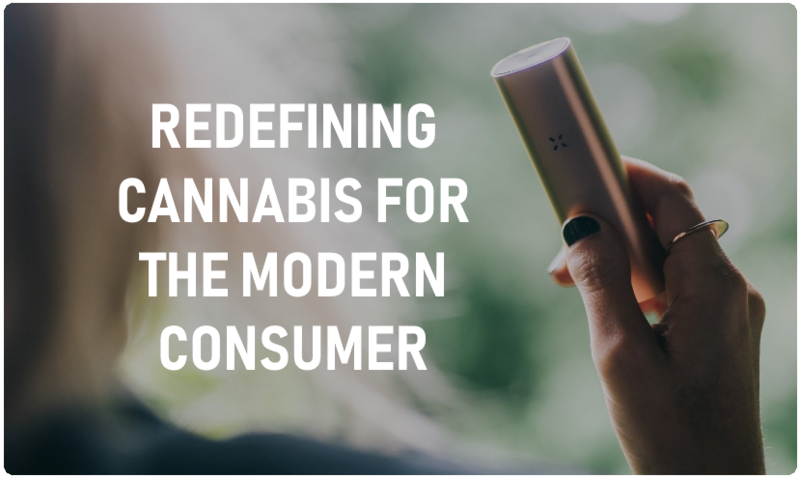 The Starter pack comes with the top part of the vaporizer (the cartridge that contains CBD oil) and the bottom part of the vaporizer which houses the battery needed to run the device. In the starter kit you will also find the charger for the vape pen which simply attaches to the bottom and you can plug the unit into any USB port to charge it back up. On each charge you are able to get roughly 100 puffs (each puff delivering 1mg or more of pure organic CBD). In the image below you can see a visual of the Vape Bright starter kit. The Vape Bright as mentioned earlier is very simple to use and takes no time at all to learn. There is no button that you need to press and as long as the battery contains a charge all you need to do is inhale. Similar to a disposable hookah pen, the Vape Bright is like a CBD hookah pen which is very affordable but you can re-use this device over and over again. The device has a very quick recharge time and after just 30 minutes your device should be fully charged and ready for another 100 puffs. The battery has a preset setting of 3.2 volts which allows for heavier draws. The starter kit comes with enough puffs for about 20 sessions. Depending on how CBD oil works for you and how fast you intend on using each cartridge you will need to get more sent to you to operate with your vaporizer that came with the starter kit. You can use the same bottom half of the vaporizer and to refill you simply order new cartridges (the top half of the vape which is pre-filled with CBD oil). The options you currently have are to get cartridges in packs of 1, 3, and 5. All cartridges are teh same size and all will fit on your device from the starter kit. The price you pay for the 5 pack has a bit of savings as you would expect when buying anything in larger numbers. Everything about the cartridges is the same, they have the same level of supplements and are made form the same ingredients. The 1 pack is $60 to $70, the 3 pack is $143 - $150, and the 5 pack is $225 - $250. As you can see the savings from the 1 pack if you paid that price for 5 separate cartridges would cost $300 o $350, so if you plan on using CBD throughout your daily life for a while than it may be smart to buy the 5 packs. You can purchase either the starter kit or the cartridges by visiting the official Vape Bright website here. Because CBD oil is a legal substance you do not require a doctors note to place your order. Each cartridge of the 200mg pure organic CBD oil is good for about 20 sessions if you were to take 10 inhalations er sessions. So overall that is 200 puffs giving about 1mg's each puff. The amount per serving listed on the official supplement facts sheet is that each serving (10 puffs) contains 15mg of hem oil (seeds and stalks), and 10 mg of Cannabidiol (CBD) with the rest being Terpinoids. These are the ingredients that you would like to see and the fact that Vape Bright does not contain any chemicals is a step in the right direction for the CBD industry. Does the Vape Bright CBD oil get me high? There are no psychoactive effects given by the CBD compound found in the hemp plant. You can read more on CBD oil here. How do I get a Vape Bright Refill for my CBD Oil? What Temperature Should You Store the Vape Bright Thrive CBD Cartridges? The Vape Bright Thrive cartridges should not be stored in hot temperatures. It is important to keep them stored at a temperature that is below 90 degrees. You should also not freeze the organic CBD cartridges as the expansion will cause the cartridge and coil to break. What do you do with the Thrive Cartridges when they are empty? The Vape Bright Thrive cartridges should be recycled when you are done using them as they are disposable. How Long is the Vape Bright CBD Oil Good For? As per the Vape Bright customer service it is recommended to use your cartridges within about 3 months of when you receive it. The Oil will not go bad or expire by any means in this time frame, but the cartridges have a higher risk of leaking after about a quarter of a year.